Jnana was born into this world with a load of fire and passion and awakened in gratitude to the Pachakuti Mesa Tradition of Cross Cultural shamanism in 2007. Prior to this awakening, her shamanic journey began in 1996 through an apprenticeship with a Native American elder. Just after the completion of her work with him in 1998, she also became a hatha yoga instructor. While these experiences were, and continued to be transformative, the living lineage of the PMT is what has had the most profound effect on her personally. From her direct experience with this tradition, she was inspired to be of service and to share the profound teachings of the PMT while guiding others on their personal journey of transformation. As the founder of Powerhouse Education, Jnana has hosted community gatherings, healing workshops and private sessions for many years. 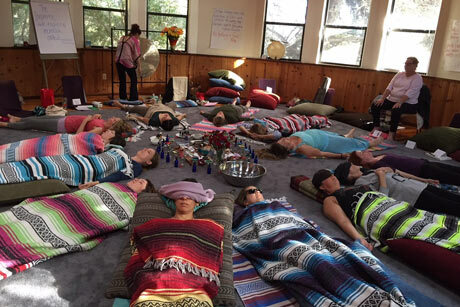 In January of 2016, the doors opened to The Ukhu Pacha Healing & Inquiry Space in Albany, California. This space, dedicated to shamanic classes & private sessions is the realization of a dream. 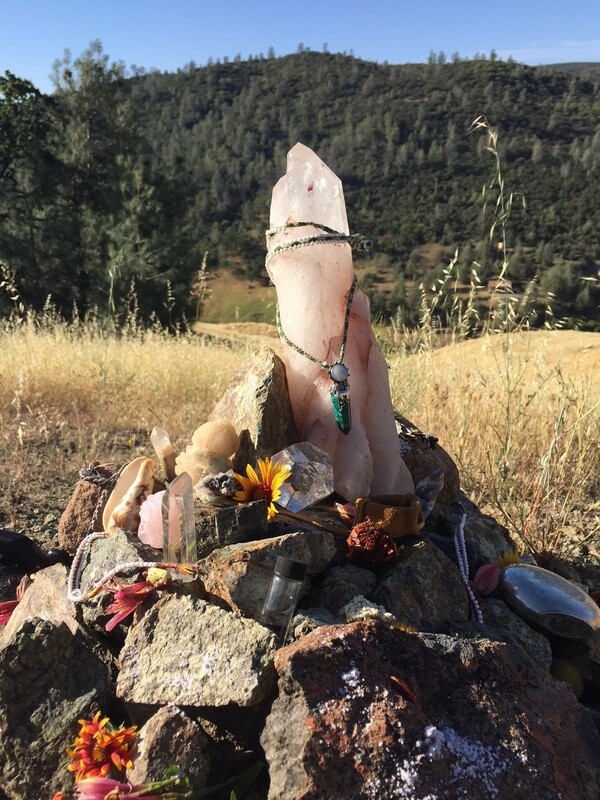 The healing center allows her to share the beauty of the PMT in a broader way and has brought in many seekers of the shamanic arts to various events. It warms her heart to create ceremonial classes such as “Creating Healing Waters”, “Making your Own Sacred Featherwand” and “Moon Staffs – Connecting Deeply to Mama Killa”. It is here that these seekers have experienced the grace and elegance of the Pachakuti Mesa firsthand. Jnana’s relationship of allpa kallpa (earth power) guides her in every step she takes. 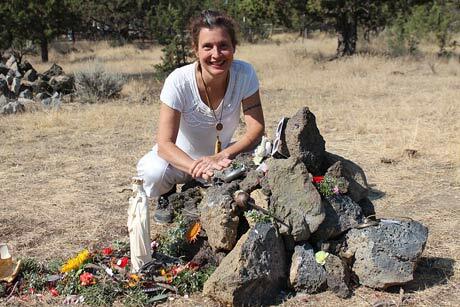 Shamanic journeywork of both the upper (hanaqpacha) and lower (ukhupacha) worlds are her specialty. She is in deep gratitude for the assistance of the unseen realms that are always in her midst. Through her twice-monthly moon journey events, she is able to share these palpable energies/forces with seekers that wish to deepen their relationship with spirit. Jnana understands the ukhupacha – those darker, shadowy places in our lives. She has first-hand experience with the ways we attempt to cover past wounds including the struggles of addiction. Though sober for 17 years, she realizes that these ways of self-medication were a quest for something deeper. Through her personal delving into those shadow places, Jnana understands that true healing may occur. It is the uncovering of these places that brings us into wholeness. In a world where many feel anxious or confused, the mesa offers a framework where one may ground, orient to self and ultimately, make their world more healthy and vibrant. It is her great honor to assist others in learning more about how the mesa is a conduit of personal and planetary change. As a teacher, healing practitioner, and a ceremonialist, it is Jnana’s prayer to be of service. 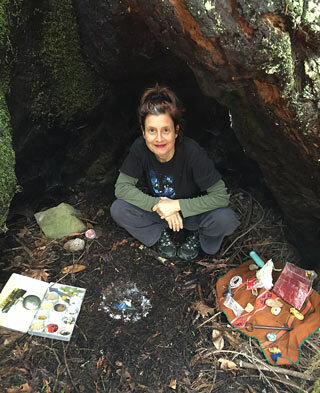 She holds the vision to create positive change both for the individual and the community and she believes that with a disciplined imagination, focused intention and the practice of sacred rituals these actions may create change. 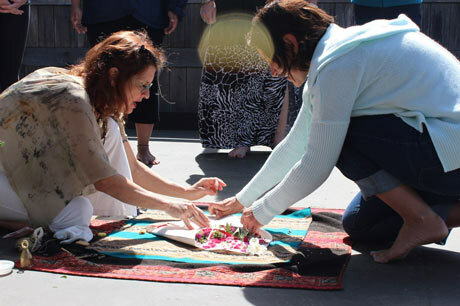 The ritual act, or sacred reciprocity, known as ayni allows us to come into balance and harmony in a very powerful way. As humans it is our duty to be in ayni/gratitude to the earth for all she gives and the Pachakuti Mesa Tradition is the ideal toolset for the job. 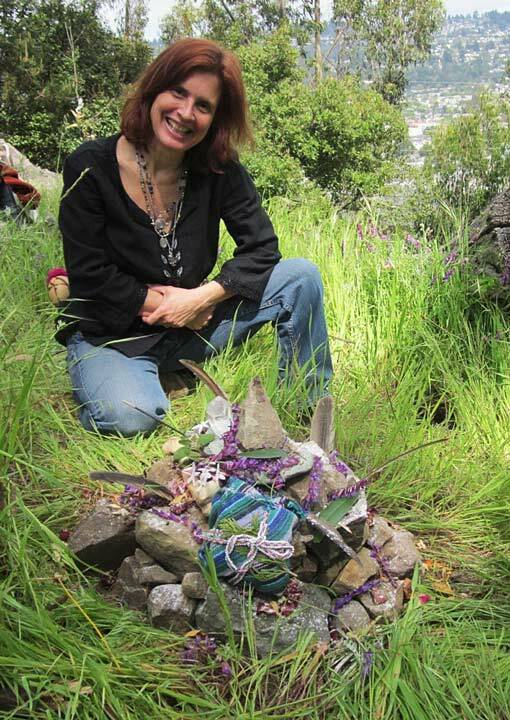 Jnana lives with her family in Richmond, CA – in the hills of the East Bay near San Francisco, California. She is grateful for her supportive husband, Jeff, and their teenaged kid, Riley Coyote. Both of these fine humans are her teachers that she learns from daily.